COLOGNE, Germany, January 23, 2019	(Newswire.com) - 4Stop (“FourStop GmbH”), a leader in providing premium global KYC, compliance and anti-fraud technology, announces today they are live and operational within FlashFX’s global payment transfer solution. One of 4Stop’s technology features is providing hundreds of global KYC data sources available with real-time activation and performance, all from their single API. These capabilities make them an ideal solution to support and enhance services on a global scale with the best data coverage and experience possible. The primary implementation of 4Stop’s technology for FlashFX focuses on performing industry-leading KYC verifications, including real-time document identity authentication in a manner that does not compromise a frictionless, simple 1-2-3 on-boarding experience. “The ever-changing global regulatory environment makes it imperative for businesses to find a KYC solution that will not only facilitate the requirements globally and per localised region for today, but enables them to adapt with requirements in a seamless manner. Our solution does just that and we are very excited to be supporting FlashFX on an international level with our future-proofed, frictionless KYC for secure customer on-boarding and enhanced transactional verifications,” states Ingo Ernst, CEO, 4Stop. “Security and safety of our clients’ personal details and money is our highest priority at FlashFX. 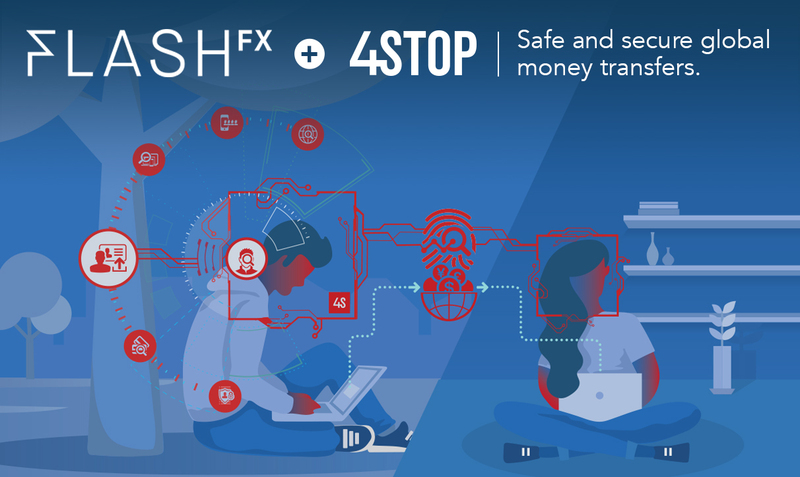 Partnering with 4Stop’s KYC, compliance and anti-fraud technology enables FlashFX to meaningfully increase our global compliance and risk management controls. In an industry that demands a robust and thorough KYC solution, we are excited to be using a platform that helps us to continue to meet regulatory standards and provide enhanced on-boarding and transaction security for our clients,” says Nicolas Steiger, chief enabling officer, FlashFX. For further information about 4Stop services, please visit https://4stop.com or for FlashFX international payment transfer services, please visit https://www.flash-fx.com.